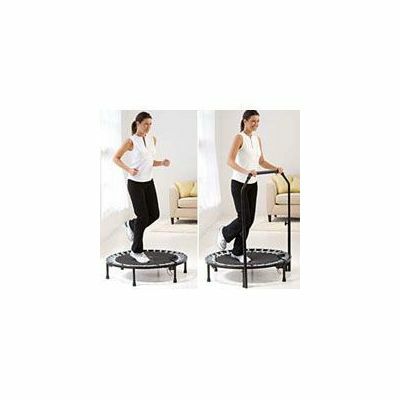 The Gaiam Mini Trampoline Workout System complete with instructional DVD gives you a fun, motivating and low-impact cardiovascular workout designed to get results fast. This low impact exercise also increases blood flow and promotes overall health and well being, while toning and sculpting legs, bum, hips and more. The handy included console keeps a track of time elapsed, jumps made, and theoretical calorie burn to allow you to easily see your progress. 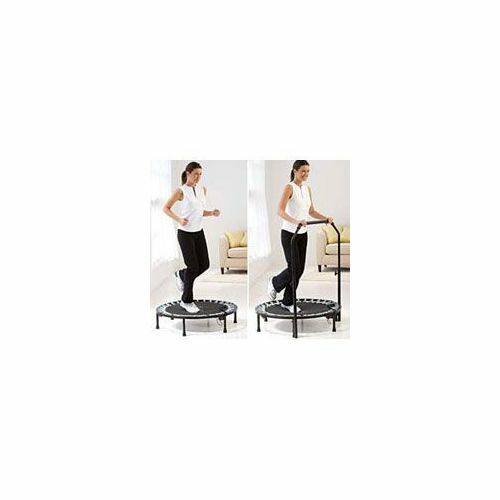 for submitting product review about Gaiam Mini Trampoline Workout System.